Since our company's beginning in 1946, we have been dedicated to providing exceptional service and superior heating, ventilation and air conditioning service and systems to East Texas residents at home and work. Customer satisfaction is our #1 priority. As a family owned and operated company, we recognize the importance of your family's comfort and health. Thanks to our returning customers and their referrals, we have served generations of East Texans. 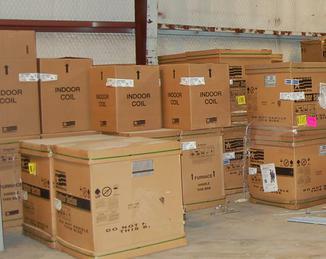 Over the years, Dixson Hager Air Conditioning has had several owners. It has been owned and operated by DeWayne Chapline since 2004, when the name changed to Dixson Hager / Chapline Air Conditioning and Heating. 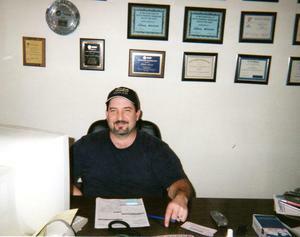 DeWayne has almost 30 years experience in the air conditioning industry. Born in Palestine, TX, he started out working at his father's A/C company down in Houston. Later he moved back to East Texas and worked for an A/C company in Jacksonville for over 10 years, after that working as the service manager for Dixson Hager for 3 years. Then in 1998, DeWayne started his own company, Chapline Air Conditioning and Heating. Finding success, he purchased Dixson Hager in 2004. DeWayne has always striven to provide 100% customer satisfaction and deliver honest, dependable service to his customers. We are a complete service mechanical contractor. We work with new construction, remodels, homeowners, builders and property management. Our technicians have graduated from technical schools, but also are factory trained, certified and schooled with the latest technology. Continuing education has insured that all staff has the knowledge and expertise to complete each job in a competent and professional manner. Our technicians will always give you honest estimates and will be upfront with any work that needs to be done on your HVAC system. There won't be any unexpected hidden fees or extras at the end of a repair job or system replacement. Dixson Hager / Chapline Air Conditioning and Heating is proud to have installed and maintain many HVAC systems in many of East Texas homes and businesses. Whether you have a mobile home in the country, a mansion on the golf course, or a retail store downtown we provide a number of quality services and products for your cooling and heating needs.